Originality is not about creating something new. 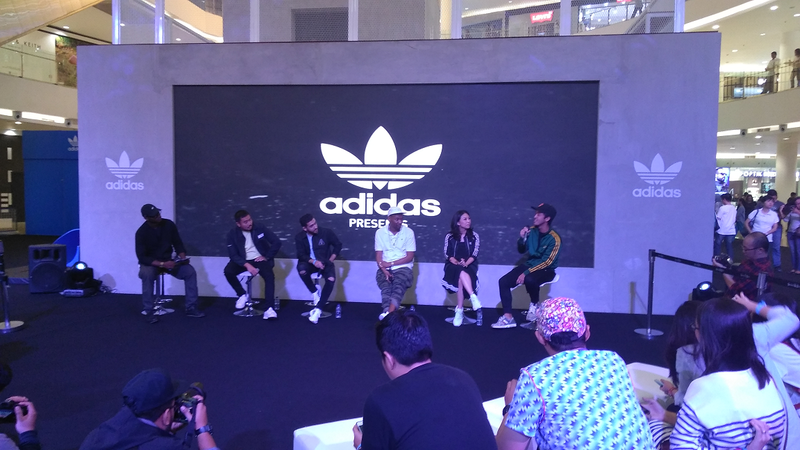 Adidas Indonesia Senior Brand Activation Manager, Ivon Liesmana explained. It is about how to elevate things from the roots of originality and keep it fresh today. “We dont need to create something new. We can relate something from the past. Create and evolve and do it better. Not everything you see nowdays is something that you have never seen before,” She added. 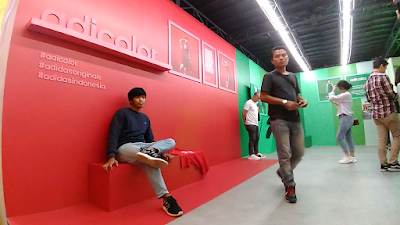 Ivon then mention about Adidas collections that's been improving and inovative from time to time. “Especially from our product collections. That’s something already launched years back, but we’re doing it better. We’re improving it. We’re adding more inovations. Some of the elements are coming from the historic and the archives,” she described. Furthermore, Ivon told the audience. Adidas Originals was born in 1972. So with forty six years experience, the brand continues to commit in staying authentic by pushing creativity and working together with creators and partners. “It’s all about being authentic. You see a lot of different creators from various industries. They are good at what they do. They’re doing things based on what they like and passionate about and keep it real,” She concluded. Meanwhile, for Edson Sabajo from PATTA, originality also comes in the process of learning in developing a brand. “We develop and went through like: let’s do some clothing. We know nothing about clothing line but we just found out. So the whole platform is like an open school to us. I learn and my team is learning stuff on the way and keep it going. Next year is 15 years that we’re doing this whole Patta thing. But for me, we’re just started,” said Amsterdam based-Owner. Patta opened for business since 2004. Located right in the heart of Amsterdam, the store brings new excitement to the Dutch street wear scene. The brand expands from sneakers, clothing, running team, to radio shows and sound system. Tamish from Ageless Galaxy, Indonesia chimed in by suggesting that the best way to stay original is to just be yourself . “It’s always good to just follow your gut feeling, as long as you know what is right. That your objective is clear and for the better good. Then that’s the best way to stay original, instead of ripping other brands off. Just be yourself,” he added. Being original in term of personal branding is about expressing your mind and how to communicate it. Adrian Riyadi from Our Daily Dose, Indonesia, remarked a true story of himself. About how important a community is to support brand existing. The panel discussed about streetwear in general, how it has somewhat taken over the mainstream crowd in connection to the relationship between a brand and retailers. Along with the future trends in streetwear culture. Jiplakan merk masih marak, tapi mutu tetap kelihatan mana yang asli atau yang KW. Being original in term of personal branding is about expressing your mind and how to communicate it. I like this statement. That's why i love Adidas, espescially for exercise. Cadass. Kalau ratunya bagaimana kak? Sepatu dari masa kecil dulu..
Adidas sepatu idaman nih, aku pingin banget satu model yang dari dulu belum kebeli, masih harus nabung dulu..
Adidas ini merk yg udah mendunia banget ya. Bahkan samapi-sampai banyak KW nya nih. Good qualities makes good brand. Even there are so many products produces the products like Adidas. But they still got the brand it self.